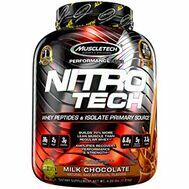 Nitro-Tech Power by MuscleTech at Musclesup.com - Malaysia the Lowest Prices! Few if any proteins have had the impact that NITRO-TECH® has. For years, bodybuilders and other athletes have trusted NITRO-TECH to pack on more muscle and build more strength than regular whey protein. And now comes the latest NITRO-TECH innovation: NITRO-TECH POWER! NITRO-TECH POWER contains several key ingredients shown in multiple clinical studies to help you pack on more muscle than ever! NITRO-TECH POWER starts with a powerful blend of premium 100% whey protein for superior absorption, digestibility, easy mixing and high levels of essential branched chain amino acids (BCAAs) – the building blocks of muscle. MuscleTech® researchers didn't stop there, though. Each two-scoop serving of this incredible new protein is boosted with clinical doses of creatine monohydrate, betaine anhydrous, boron citrate and tart cherry – creating the ultimate muscle-amplifying protein! 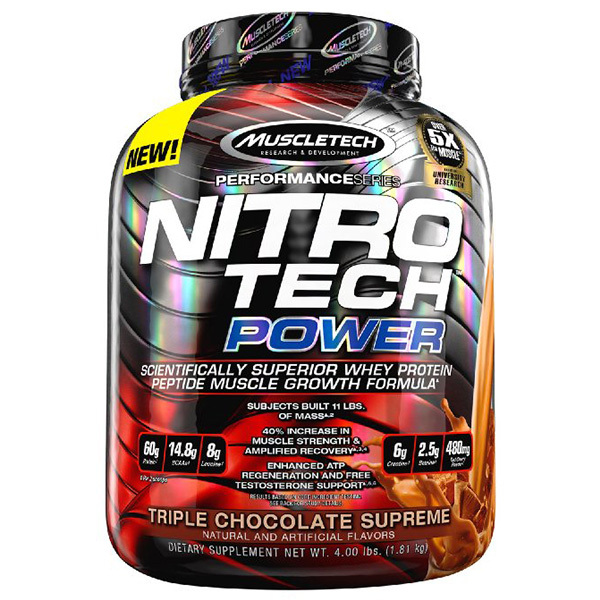 NITRO-TECH® POWER supplies 30 full grams of the most quickly absorbed and highest biological value proteins available, including whey peptides and 97% whey protein isolate, some of the cleanest sources of protein available to athletes. 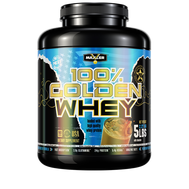 Whey peptides are a powerful source of amino acids derived from much longer whole whey protein molecules. Whey peptides help promote rapid recovery from your grueling workouts and even support an insulinogenic response for improved nutrient delivery. What's more, whey peptides have one of the highest biological values (BV) of any protein source, a value given to protein sources to measure how well they are absorbed and used by the body. To create the ultimate musclebuilding protein, MuscleTech® researchers started by packing a researched 6g dose of creatine into every two scoops of NITRO-TECH® POWER. In a double-blind, placebo-controlled study, subjects supplementing with this same dose of creatine gained 11 lbs. of mass in 12 weeks (versus 7.5 lbs. for the placebo group). 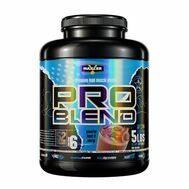 Protein 60g 40g Each 2-scoop serving of NITRO-TECH POWER contains 60g of protein. Most protein powders use inferior forms of protein, have significantly less protein per scoop and are loaded with high-glycemic carbs that are added to the formula purely for taste. BCAAs 14.8g 11.98g Each 2-scoop serving of NITRO-TECH POWER is packed with 14.8g of musclebuilding BCAAs. 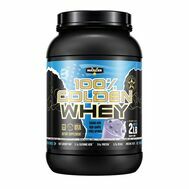 This formula has no added amino acids that are counted towards the total amount of protein listed on the label. 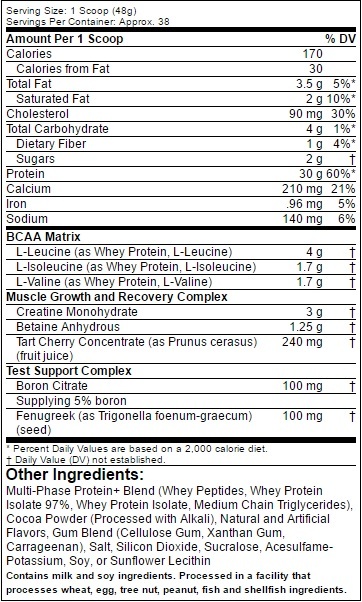 Leucine 8g 6.66g Every 2-scoop serving of NITRO-TECH POWER has massive 8g dose of leucine. This powerful amino acid turns on mTOR, which kick-starts the musclebuilding process. Creatine 6g 2g In addition to protein, NITRO-TECH POWER contains a clinically proven dose of 6g of creatine in each full 2-scoop serving – more than double the competition! Tart Cherry 480mg No NITRO-TECH POWER utilizes the tart cherry to help improve recovery through the reduction of muscle soreness. The competitor doesn't include this groundbreaking ingredient. Boron Citrate 200mg No With a clinical dose of boron, NITRO-TECH POWER provides testosterone support that other proteins simply can't.